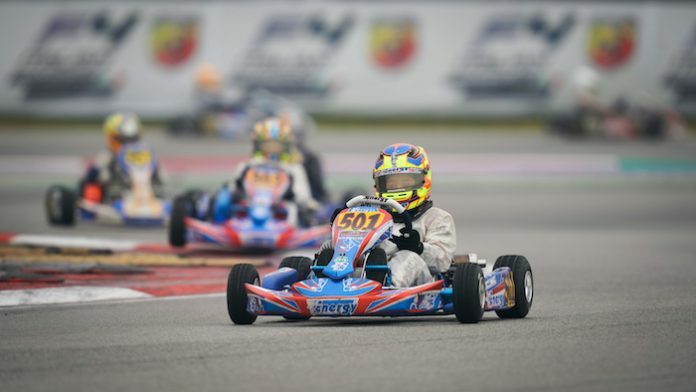 On the Adria circuit, the first of four WSK Super Master Series 2019 events further highlighted Alex Powell and his Energy Corse team’s level of performance in the 60 Mini Karting category. However, the unpredictable weather that prevailed in northern Italy in early February complicated the task of the young and talented Jamaican. Ranked 2nd in his Prefinal and 4th in the Final, Alex Powell was able to manage the situation to be among the favourites of the series already. 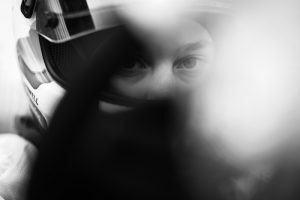 Cold weather, rain, fog, a drying track or a perfectly dry track in the Final … Alex Powell experienced different conditions during the meeting, but was always one of the fastest drivers on the magnificent Adria circuit. In a strong category with 86 entries, he reached the top ten in Qualifying, before experiencing an initial heat disappointment. A collision at the start sent him to the back of the pack and Alex could do no better than 17th. He took his revenge by finishing 2nd in the next two races, including once with the fastest lap in the race. Despite two other perfectly negotiated heats, the extra points taken in the first heat forced him to be satisfied with 11th place overall. The track was still wet on Sunday morning for Prefinal A, where Alex Powell made a high-flying performance when he returned to 2nd with a new fastest lap to his credit. Always well supervised by the staff of the Energy Corse team and his coach Mike Wilson, Alex was to experience a particularly lively Final, with positions changing constantly in the leading group. Focused on his goal of the podium, Alex Powell found the opening to join the top three on the last lap. Unfortunately, a final scuffle caused him to lose some of the benefits of his performance. 4th in the Final and 5th in the standings, Alex Powell knows that the season has just begun and that he will have many more opportunities to reach the podium in these extremely high level international events.